20 ft deep, 32X10 Blast/Fallout Shelter from Utah Shelters w/Swiss ventilation system for 14 people & a solar system with large battery bank. MLS#2247388. 318. Home is just waiting for you to move in! MLS#2247320. 3910. On Popular Bike Route, Minutes From Maple View Ice Cream Store & Farm. Hot Tub Included! MLS#2247347. 4797. In-law suite or flex space on the lower level includes family room w/fireplace. MLS#2246831. 3770. Churton Grove - Best of Drees plans.Com pool,play ground, tennis courts,walking trials. Very private, fenced yard. MLS#2246691. 65. Wildwood - Rinnai tank-less water heater. Home Warranty! MLS#2246863. 634. This one won't last long! 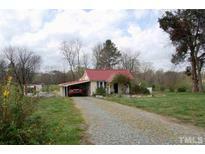 MLS#2246960. 3577. Oversized garage and separate storage building. MLS#2246092. 81. Good bones awaiting your cosmetic upgrades! MLS#2246318. 410. Great HOA amenities with Tennis Courts and so much more. MLS#2246094. 136. 18' x 19' Carport conveys Home next door at 102 Lawndale for sale by same owner - consider buying both together? MLS#2246011. 682. Burkes Meadows - Fenced backyard with open area and mature trees. MLS#2245361. 3942. 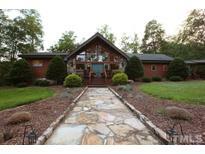 Main house with 4 bedrooms & 2.5 bathrooms, guest cottage with 1 bedroom & 1 bath. GREAT POTENTIAL HERE! MLS#2245892. 307. With hardwood floors throughout, living room fire place, large kitchen and relative open concept this home has something for the whole family to enjoy. Come make it your own! MLS#2246079. 65. Property needs update and repair. Short sale. Make an offer. MLS#2245911. 65. This home features an open floor plan, granite countertops, large pantry/utility room, new bamboo flooring throughout, custom tile in bathrooms, new deck, new windows, privacy fence, and storage shed. MLS#2245751. 284. Take Advantage of Churton Grove Amenities, Pool, Tennis, Walking Trails & More! This One Won't Last! MLS#2245219. 64. Gran View - Downstairs office with french doors. Freshly painted and move-in ready. MLS#2244307. 1319. Tuscany Ridge - 3 car side entry garage. Lovely! 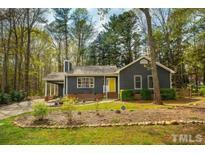 MLS#2242738. 81. White Oak - ( bonus listed as bedroom- has a closet)Large garden area MLS#2244943. 65. Churton Grove - Lots of neighborhood amenities to enjoy. Energy Star certified. MLS#2244763. 284. 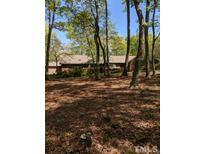 1.8 acre wooded lot 3.8 miles south of Hillsborough, Close to I40 & I85 MLS#2243827. 318. Historic District - Settled in the historic district it is in walking distance to downtown Hillsborough, Southern living at its best. MLS#2243574. 350. New roof, gourmet kitchen w/ quartz countertops, open first level w/ hardwoods throughout, updated bathrooms, spacious ready to finish attic, screened porch & an oversized deck. Will not last! 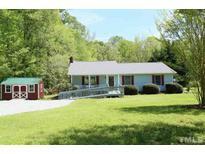 MLS#2242986. 3359. 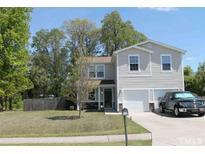 Beautiful culdesac location, with community pool, tennis, and walking trails nearby. MLS#2243758. 4542.